The workshop will take place at the EYE Film Museum in Amsterdam. 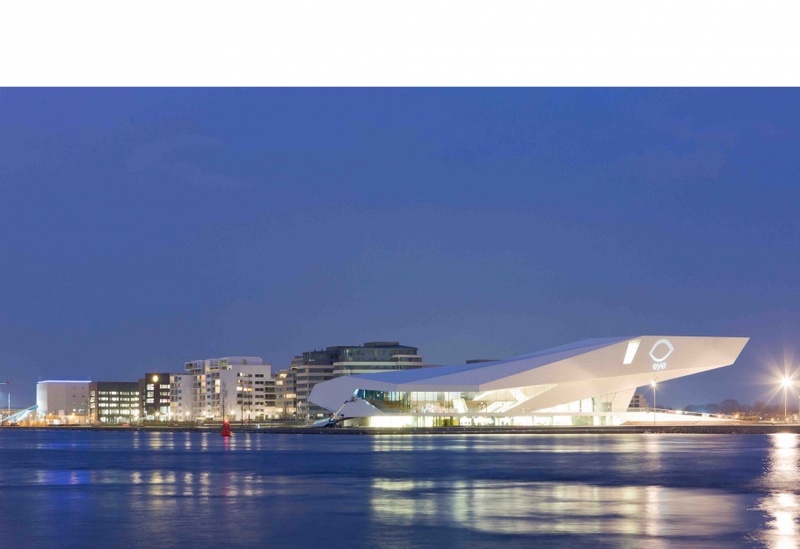 The EYE Film Museum is located just behind Amsterdam Central Station, across the IJ. When you get to the station from the city centre (e.g. on a tram), you are on the south side. You should go to the north side of the station, either walk through the station (you can ignore and walk through the check-in stations/turnstiles, one or more will let you pass) or you can use the bike/pedestrian tunnel (near the Ibis, on the left when looking north). On the north side of the station (on the left) there is a ferry to "Buiksloterweg" which crosses the IJ to the side where the EYE Film Museum is located. The ferry is free, runs every 6 minutes during the day and takes about 3 minutes. (See this video for a view of this ferry, taken from the EYE Film Institute side, looking towards the station.) When you get to the EYE Film Institute side, turn left and the EYE Film Museum is about 300m in front of you.